Dr. Khadijah Elshayyal is Postdoctoral Research Fellow at the Alwaleed Centre for the Study of Islam in the Contemporary World at the University of Edinburgh, and author of Muslim Identity Politics: Islam, activism and equality in Britain (I.B. Tauris, 2018). Since the mid-1900s, British Muslim political activism has undergone significant transformations. Yet even in its current manifestation, and despite facing state ambivalence, it shows no sign of abating. In today’s highly charged and polarized political climate, identity politics is often used in the pejorative, as a signifier of division, nativism and of group self-interest. My study of the development of Muslim identity politics in Britain disputes this characterization. It examines their trajectory over the past fifty years and illustrates how Muslim identity politics has evolved from the reactionary articulation of responses to religious offence, exemplified by book-burnings during the Salman Rushdie affair, through more focused campaigning for access to equality under the law, to the entry of Muslim activists into wider civic and political coalitions with allies for a strong voice on matters of common concern. 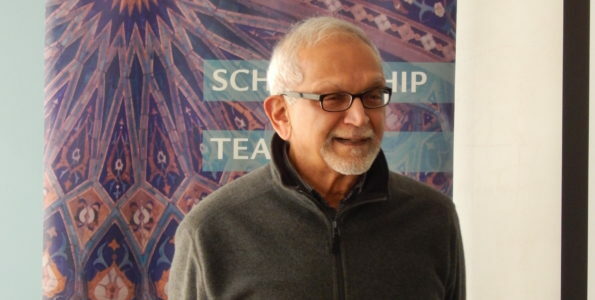 The coming of age of a second generation of post-war immigrant Muslims of South Asian heritage during the late 1960s, through to the 1970s and ‘80s was marked by horrific experiences of violent racism on the streets, institutional discrimination in schools and workplaces, and the brunt of a racist and punishing immigration regime. Political activism was expressed through participation in Asian Youth Movements (AYMs) that were springing up in urban areas across the country. Many of these were self-defense movements responding to attacks and intimidation from the far-right National Front, which often occurred in collusion with, and acquiescence from the police and authorities. By the 1980s many British Muslims had become increasingly interested in securing various legal rights and exemptions for their communities. Some AYMs now campaigned for religious accommodations to be made at schools – such as the provision of halal meat on lunch menus in schools where the pupil population was overwhelmingly Muslim. With mosques and cultural facilities now established in Muslim communities across the country, for many activists, their Muslimness rather than their ethnicity now became the most salient aspect of their identity. Financial or ideological support from movements in South Asian and Arab nations had earlier aided the establishment of Muslim unity initiatives such as the Federation of Student Islamic Societies (FOSIS) and community organizations with a national presence such as the UK Islamic Mission (UKIM). These came into their own during the 1980s, with the full spectrum of global Islamic political and theological trends gradually coming to be represented in the UK. But by the close of the decade, British Muslim political activism became overshadowed, and to a considerable extent, defined by the Rushdie affair. Images of ‘Muslim rage’ remain the lasting visual impression of the Rushdie affair, such that they continue to cloud our perception of politically engaged Muslims in the UK to this day. However, the affair can also be credited with prompting the first coherent articulation to the state by Muslim activists of what I have termed an ‘equality gap.’ In the early 1990s, this took the form of calls for a widening of existing English blasphemy laws to protect minority religions alongside Anglican Christianity, and for the introduction of new legislation to deal with religious discrimination. For the next decade, this equality gap became a central theme around which the Muslim Council of Britain (MCB, est. 1997) built its advocacy and found its niche in New Labour’s political project of engaging with minority faiths. During this time, notable gains were made in some aspects of this equality gap – the first Muslim faith schools were granted equal access to state funds, along with existing Christian and Jewish schools; the MCB was a key player in a campaign which secured a question on religion in the 2001 Census, thus providing ‘formal recognition’ for Muslims as a faith group; and by 2006, the introduction of long-awaited legislation addressing (albeit weakly) religious hate crimes. 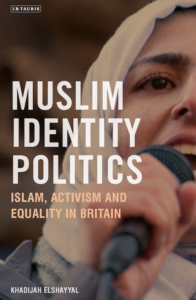 During the post-9/11 and then post-7/7 War on Terror era, securitization and escalating Islamophobia have resulted in new areas where inequality is being experienced by Britain’s Muslims. In the wake of September 11 attacks, Muslim activist groups were pushed into the limelight as they focused their energies on ‘firefighting’ in the name of a faith and communities that were increasingly considered suspect. As for 7/7 (July 7, 2005 London metro bombings), this precipitated unprecedented levels of introspection among British Islam’s spokesmen (and they were men), as they faced up to the reality of the ‘violent extremist’ influences within their communities. This development, combined with a changed approach from the state, emphasizing conditionality in its engagement with Muslim organizations, has meant that the MCB and other communal advocacy groups have undergone a period of adaptation to a changing political situation. The MCB in particular, experienced an official ‘freezing out’ of its already fraught relationship with the New Labour administration between 2008-2009, and although this was short-lived, it has never regained its previous privileged position as state interlocutor for Britain’s Muslims again. The emergence of a plethora of ‘counter-extremism’ bodies since 2005 has also contributed to the MCB’s loss of its privileged position vis a visthe state. These are run largely by former radicals whose central claim to credibility is having been on the ‘other side’ and with many supported financially or strategically by the British state, almost becoming ‘good Muslims’ as a professional vocation. Two successive Conservative-led administrations have made crystal-clear their disdain for entertaining in political conversation any Muslim voices deemed to fall foul of actively promoting ‘British values.’ Muslim activists have responded either by complying with this demand and thus effectively acceding to the state a role in deciding what constitutes acceptable forms of religiosity or theology, or by disputing this frame of engagement as flawed and preferring to operate outside of it alltogether,despite this latter strategy placing activists outside the pale of any official recognition from the state. 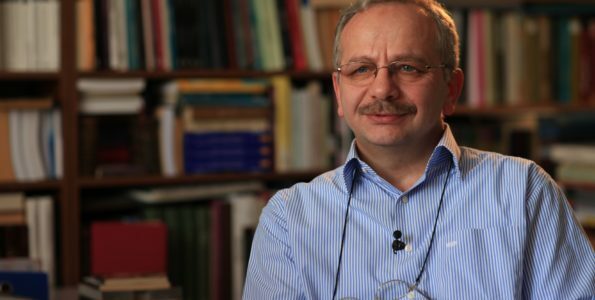 A key critique of this feature of conditionality has been that it demonizes individuals who adhere to more conservative understandings of Islam, enables far-right hostility to Muslims and other minorities, and has given rise to ‘witch-hunts’ against Muslim activists whose views or associations are deemed to be at odds with a state-friendly, counter-extremist agenda. A recent example that embodies all three of these critiques is the Trojan Horse affair of 2014, where staff and governors at a raft of Birmingham schools serving overwhelmingly Muslim local populations were accused of ‘entryism’ – infiltrating a public institution to further a political agenda. Many of these schools enjoyed significant autonomy from local government control as per the Conservative administration’s flagship ‘free school’ reforms, and it was quite clear that the governors who were drawn from the schools’ staff, parent body and community had sought to reflect the students’ religious and cultural heritage in the curriculum. However, in a securitized political climate, these choices were viewed with deep mistrust from the outset. For example, some investigators of the affair portrayed the inclusion of Arabic in modern foreign language learning, and a school organized trip to Mecca as causes for concern, and by extension, staff and governors were either suspected for their loyalty, or even seen as a threat to the nation. Despite various unrelenting pressures, there remains a strong preference among many British Muslims to continue to identify publicly with their faith. This preference is in no small part sustained by the recent rise in populist politics that has utilized divisive nativist rhetoric to foster another type of identity politics – one that has portrayed Muslims at worst as a threat to be eliminated, or at best, a parasitic drain on society’s resources. Alliances in response to this have taken on a momentum of their own, and Muslim engagement within them has been a demonstration of the growing shift among British Muslim activists who are jaded by the identity politics of lobbying towards a more upbeat approach that is consciously rooted in Britain, forBritain. 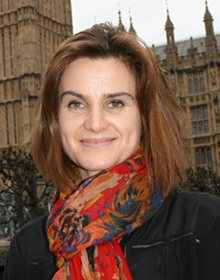 One example is The Great Get Together, an initiative to commemorate the late Member of Parliament (MP) Jo Cox, by emphasizing tolerance through exploring and reasserting the value of unity within and between communities. The declared aims of this campaign resound closely with the state’s rhetoric around ‘British values.’ But whereas the latter has often been met with resentment for its lecturing tone that assumes British Muslims need to ‘learn’ these values, and ‘unlearn’ those ‘un-British’ aspects of conservative Islam, the former can credit its far wider appeal to its starting point that everyone (Muslims and others) has ‘more in common’, to use Cox’s widely cited phrase. How long will that narrow thinking carry on for? Yes, we know there are issues [around representation and portrayal in politics and the media] … but there is SO much more we also need to be doing … building partnerships and allies. THOSE [our allies and partners] are the people that then effectively speak out about Islamophobia better than we ever can. [We need] to really see the people of this country as ‘our people’ not just on the odd document or in a speech here and there but to really feel it in our bones, sincerely from the heart. 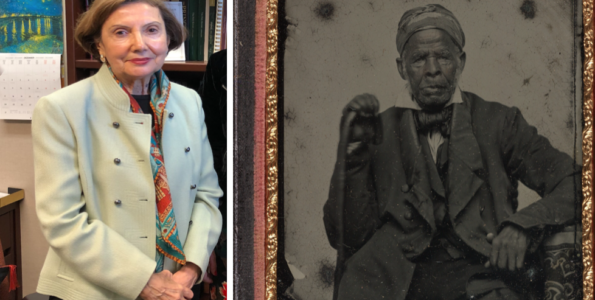 These two examples can be critiqued for emerging from a more elite or privileged section of the Muslim population, namely those in a financial position to be able to make political donations, or with the national connections and networks to organize street parties. 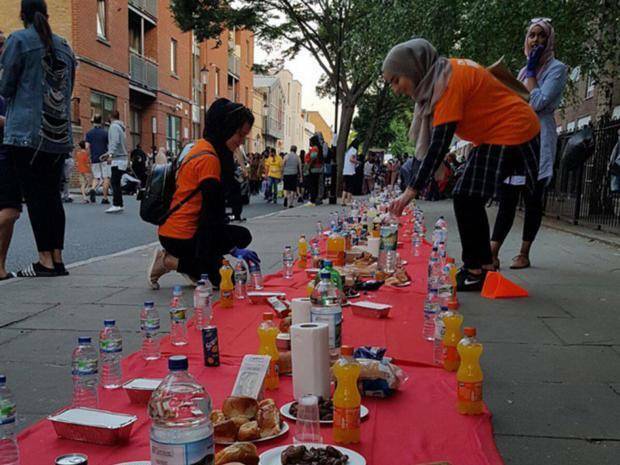 However, the spontaneous and extensive Muslim response to the Grenfell Tower disaster in June 2017 demonstrated that this shift in activism also holds deep resonance in local community institutions and grassroots. From the organization of immediate relief and shelter via the Muslim Cultural Heritage Centre (Al Manaar) in Ladbroke Grove, to the development of a legal support hub, the provision of free counselling, befriending and funeral services, and also financial aid through the National Zakat Foundation, what they all had in common was the same outward-looking appetite for collaboration with diverse partners with a shared goal, and the desire to organize collectively for the benefit of the affected community broadly understood. So while this was a ‘Muslim response,’ in that it was led by Muslim civil society, it was anything but exclusively Muslim in its outlook, contributors or intended reach. If the landscape of British Muslim theological trends and activism was not already a hugely diverse and complex one, the developments of recent years have served to make it all the more so. The present context is one in which the state has all but disengaged with Muslim representative groups, but also failed to forcefully challenge a veritable tide of populist xenophobia. Meanwhile, it has pursued an agenda of austerity that has hit the socio-economically most disadvantaged (among whom Muslims are significantly overrepresented) the hardest. Muslim activism within broad-based alliances has found common cause with a range of other minorities and disadvantaged groups, and, crucially, is at ease with championing others’ causes on the basis of shared values and the pursuit of equality, rather than group interests. The state’s insistence on conditionality in its relations with Muslim organizations remains troubling and problematic from a governance perspective. Nonetheless, the situation has paid some dividends to the MCB, which has responded by focusing its energies less on securing a place at political top-tables, and more on capacity building within Muslim communities. For example, it has ownership of national conversations among Britain’s Muslims on counter-terrorism and a long overdue exercise in modernizing mosques. The MCB’s rhetoric and tone has displayed notable humility in appreciating the limits of its influence within Muslim communities and in public life more generally, and it has made conscious efforts towards slowly but surely acknowledging diversity and becoming more representative of the broad church that makes up British Islam. This has all contributed to a buoyed credibility for the MCB among British Muslims, and its current fortunes in this regard contrast significantly from 2001/2002 when the organization’s initial reticence to oppose the Iraq War was interpreted as a sign of closeness to the Blair government. 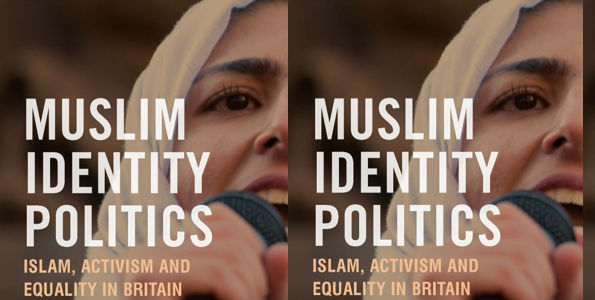 So while the equality gap which legitimized Muslim activism of the 1990s was concerned with legal recognition and reform, the past decade or so has seen Muslim activists and campaigners focus on a changed equality gap. With substantive strideshaving now been made in the area of equalities legislation, this is a gap which is concerned less with how theletterof the law is discriminatory. Rather, its focus is more on problems around its application, but also with indifference towards deep seated cultural prejudices, structural biases and otherization in different areas of public life. Catalyzed by crisis moments, the nature of Muslim communal representation, including relationships with the state and its institutions, has significantly altered over the years. The ‘community leader’ model of Muslim identity politics as the fiefdom of South Asian, middle-aged, Labour Party supporting men which so dominated during the 1990s and early 2000s has become a relic of the past. Instead, British Muslim identity politics today is far less about tea and biscuits at Downing Street or applauding awkward ‘salamaleikums’ from vote-hungry politicians. It is shifting to grass-roots civic activism, authenticity and the intersectionality of an enduring, yet still sharply experienced, equality gap. Julie Siddiqi, comment in a Muslim women’s Facebook discussion group on 16thMarch 2017, reproduced here with permission.